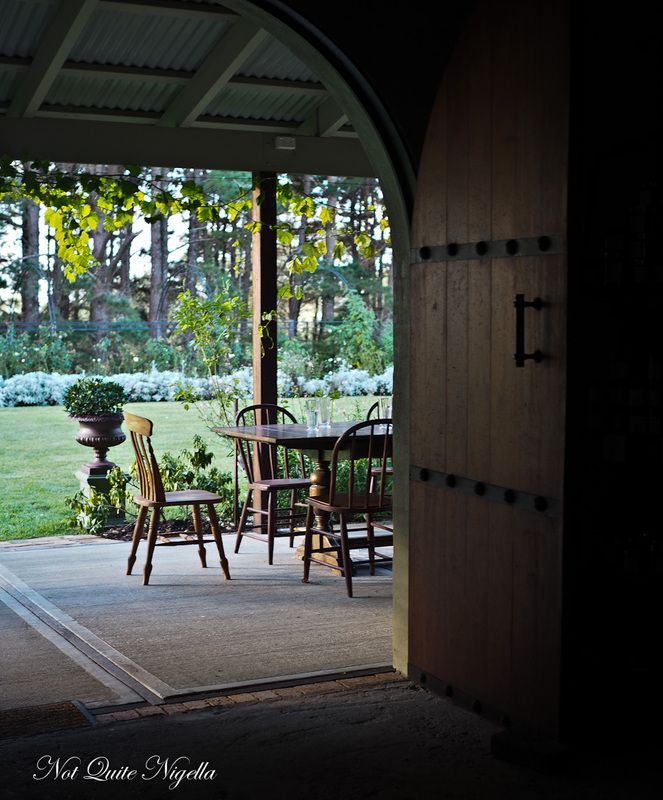 There's also a feeling that comes over you when you're in the Southern Highlands. 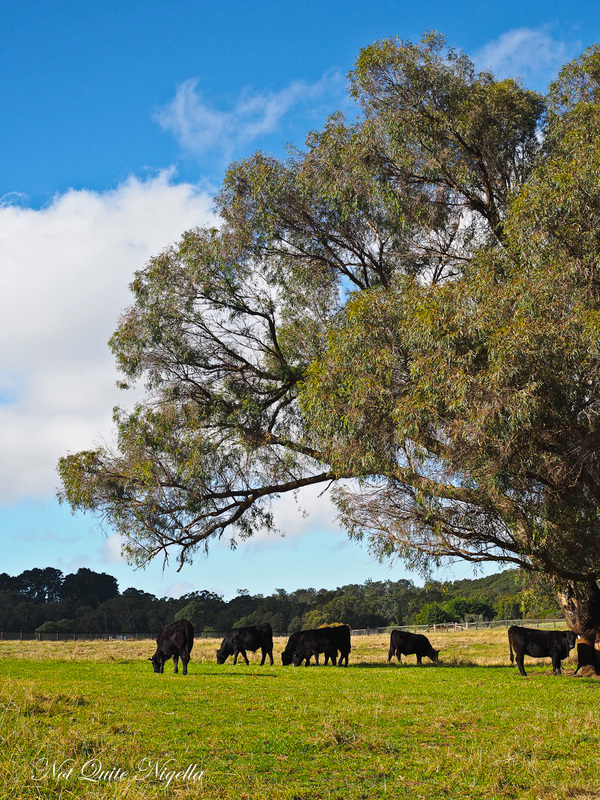 A need to get back to basics: relax, shrug on some woollens, breathe in the cool, crisp country air, walk a little, forage for your food and cook it at home using delicious local produce. It's entirely possible to do this and it's a pleasurable experience when you got nearby town cluster to town cluster to pick up bits and pieces. 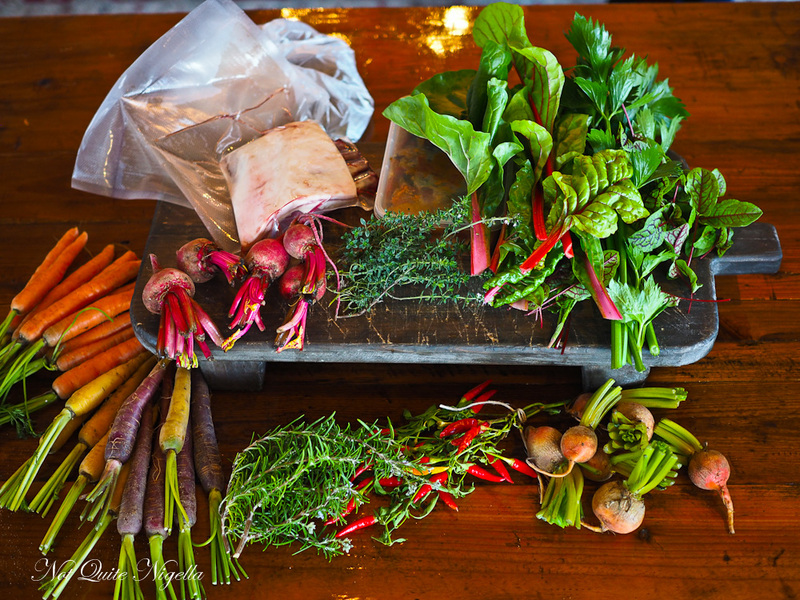 Armed with a French market basket filled with some items from the chef's garden at Pepper's Manor House we were off to a great start. 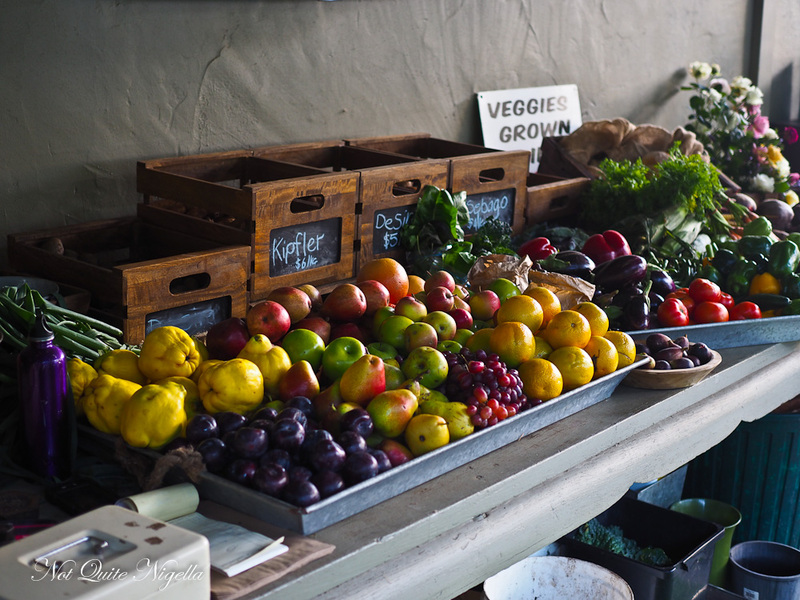 There were golden beetroot, Dutch carrots, heirloom carrots, golden baby beetroot, tiny fire chillies, rosemary and bay leaves. And there are plenty of places to fill the market basket from and we start back at the town of Exeter with a hearty breakfast at Exeter General Store. A quaint gorgeous little country town with gallery, antique store and cafe slash post office, Exeter has a population of just under 1,000. 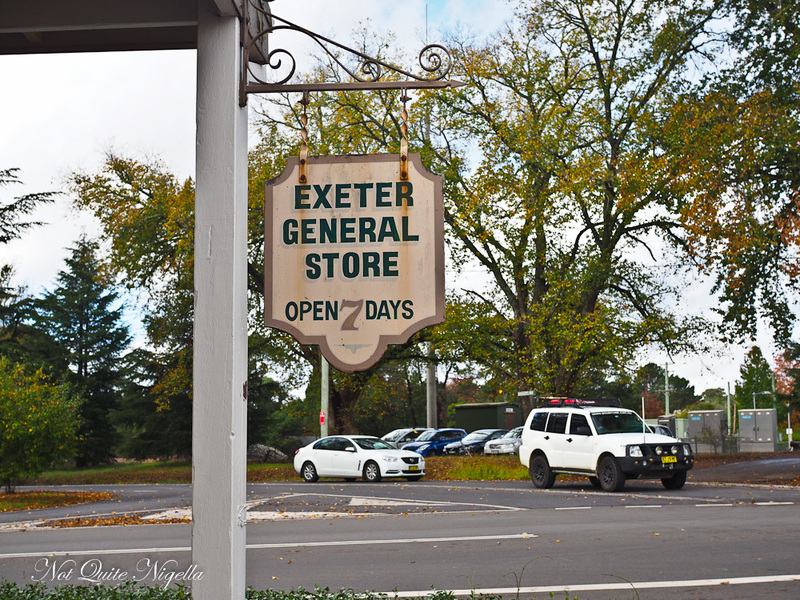 When Sydneysider Craig Johnson and his wife Lauren moved back to her hometown of Exeter they decided to take over the Exeter General Store. 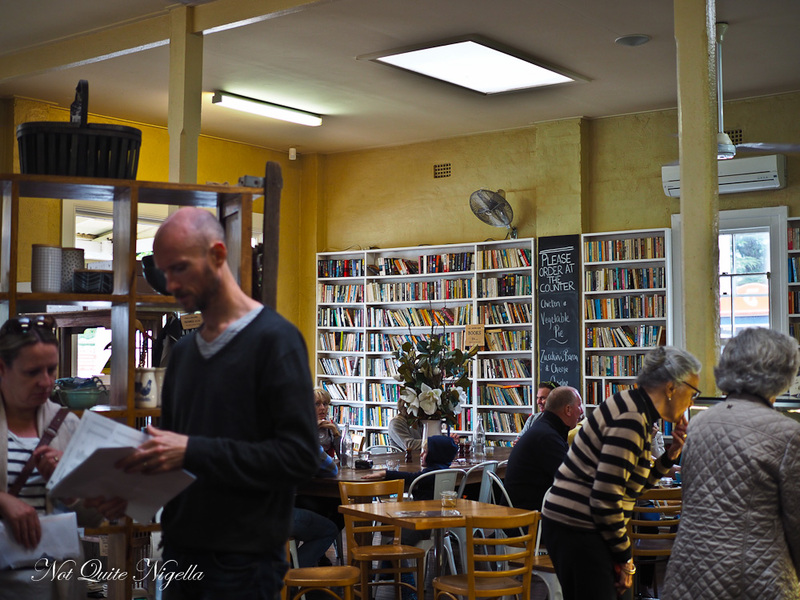 It is the central point in the town and the book lined walls have a welcoming atmosphere while the menu features satisfying, solid cafe staples and free wifi. For locals this is also the post office and the place from which they collect their mail as mail is not delivered in the area. Mr NQN orders a coffee and a shakshuka. 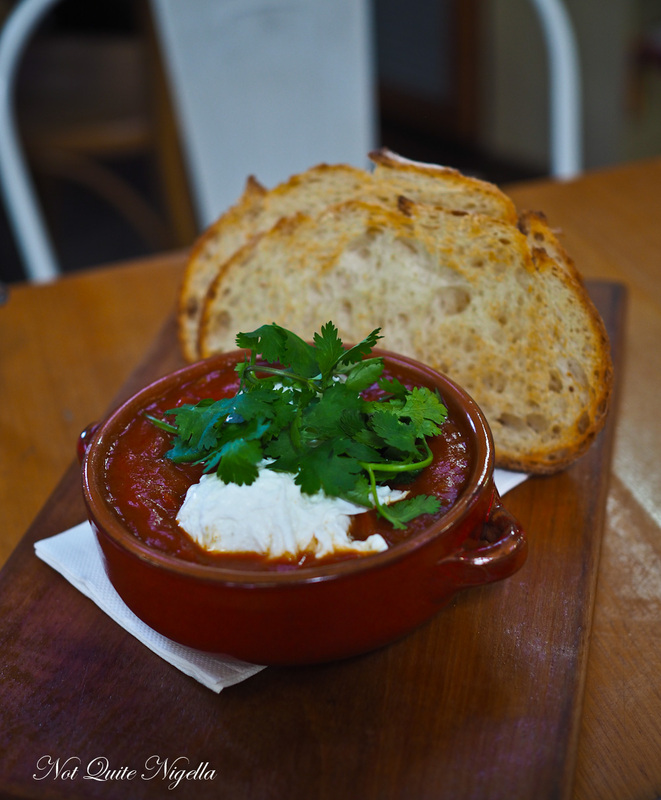 The eggs are soft centered and submerged in a spicy, rich tomato based sauce. Ideal for the crusty bread that we have it with. 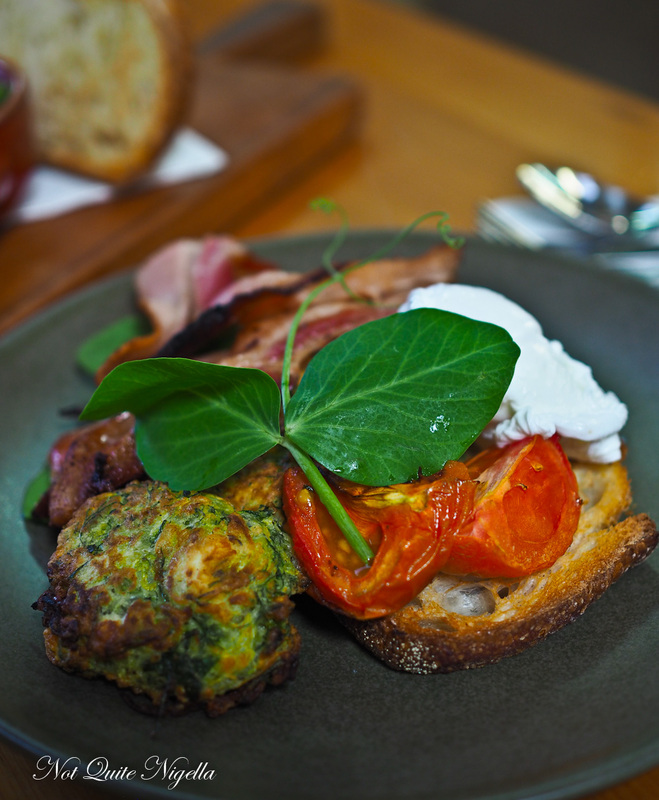 For me it's the zucchini and feta fritters, redolent with fragrant dill, rashers of bacon, poached eggs and toast. It's another crowd pleaser and a good start to the morning. On out way out we pick up some Herbies spices in Ras el Hanout and smoked paprika and some Country Valley natural yogurt. I'm still not sure what I will make for dinner this evening but I'm thinking a spice rubbed roast. Usually the store would carry meat but alas they have sold out during this busy Anzac Day weekend. With a hearty breakfast we're now on the hunt for some liquid treasures at a historical ghost town called Joadja. And for that we're off on a little journey a little bit out of town. We were warned that there was no phone signal so we pop it into our GPS. 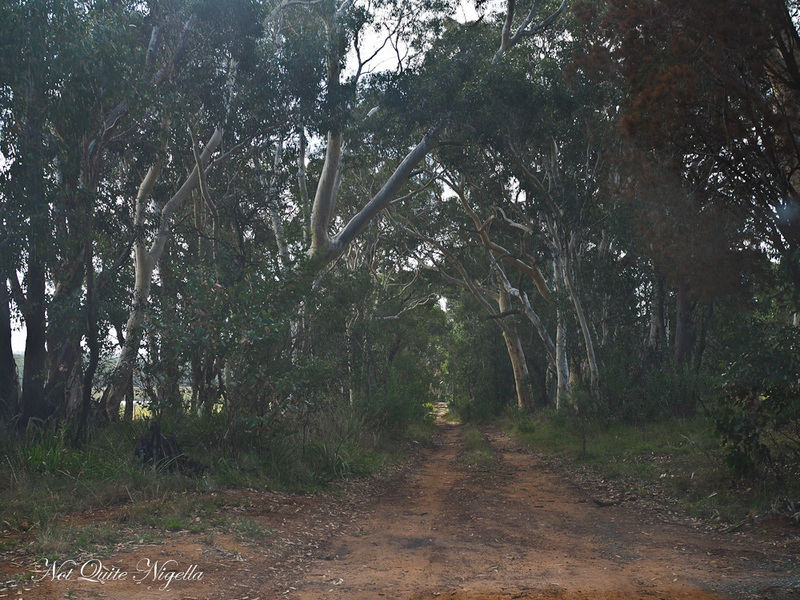 All I can say is what resulted was a rather strange drive into some very isolated roads. "Ummm what is happening?" I ask slightly nervous. I feel as though a wizened old man holding a stick with an eyeball is going to come out from the bushes. He has to patiently remind me that Joadja is not a ghost town as in inhabited by ghosts but one in which it was abandoned leaving buildings to decay, a slice of history preserved. Disregarding the car's GPS we use our phone GPS and we easily find our way to Joadja Distillery. 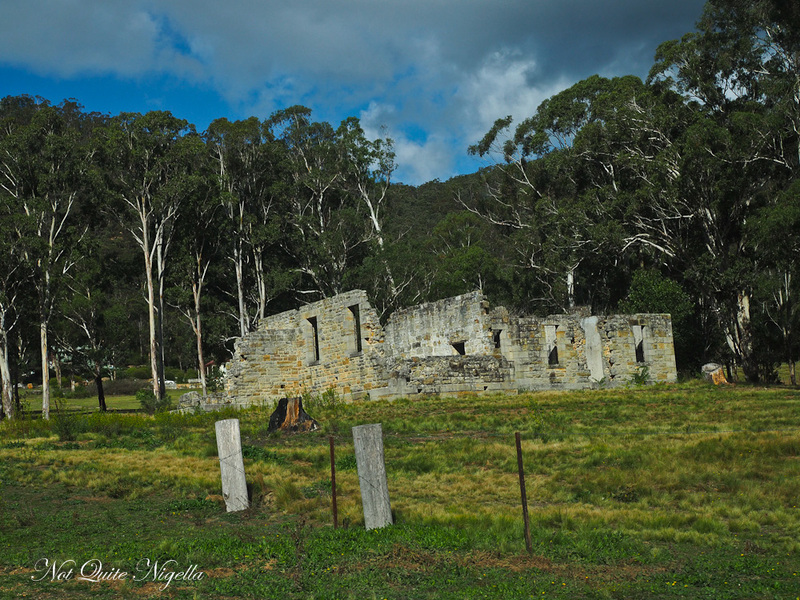 Joadja is a historical ghost town about 40 minutes from Moss Vale and Sutton Forest. It was first settled in 1870 by a company called Australian Kerosene Oil and Mineral Company who employed imported skilled Scottish labourers to extract oil shale for kerosene. In the early 1900s the labourers deserted the town and what remains are some interesting ruins. The Jimenez family of Valero and Elisa and their daughter Emily now own the property and they have set up a whisky distillery, echoing the whisky making of the original Scottish labourers. There are two types of tours conducted on fortnightly Sundays: a historical tour and a distillery tour. The Jimenez family are originally from Spain and they decided to bring over some PX barrels filled with Oloroso and Pedro Ximinez to use for ageing their whisky. They've now bottled the PX and it's smooth and intense. Now filling the barrels is whisky as well as vodka and gin to come. They tell us that within two years they will be aging their own whisky made using their own barley and spring water. But we also happen to be visiting on the day that their beer has launched. 23 year old daughter Emily is in charge of the distilling process and making all of the products, her passion borne of a love for Scotland. 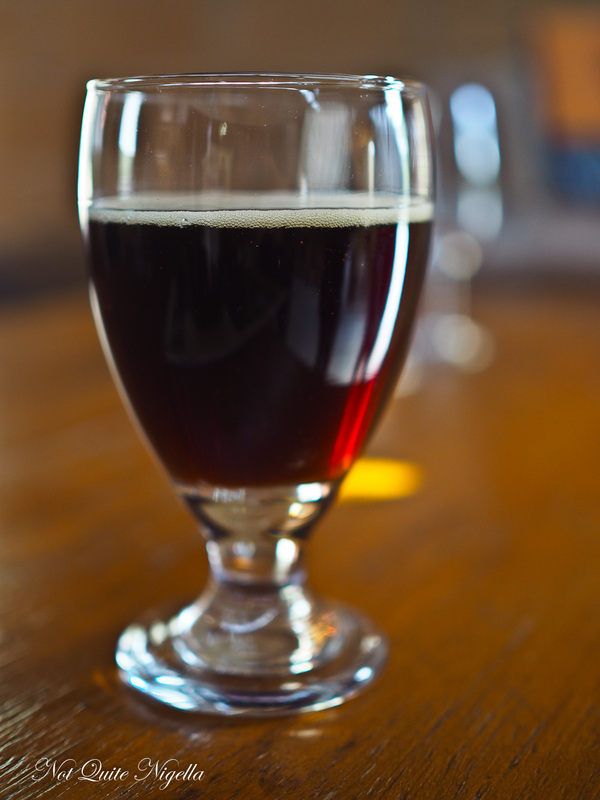 Their beer is a Joadja Wee Heavy Scottish ale. Now I'll admit that I'm not much of a beer drinker but this is worth the little trek out there to try (along with their PX). There are layers of flavour in this and it's not an overly hoppy beer which makes it much more accessible. 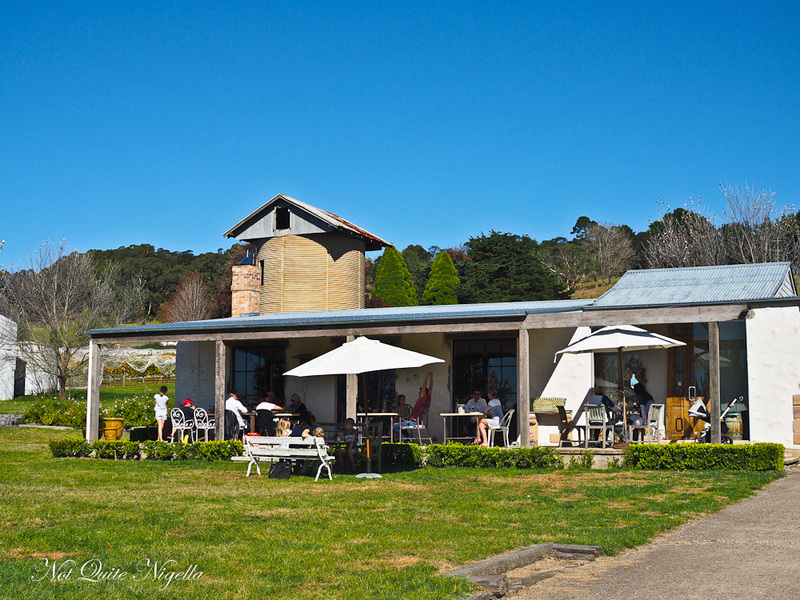 We're not quite finished with exploring though and on a beautiful day I don't think you could beat lunch at Mount Ashby in Moss Vale. Indeed the sun is shining and when we pull up I'm first struck by a building filled with French farmhouse antiques on the right. 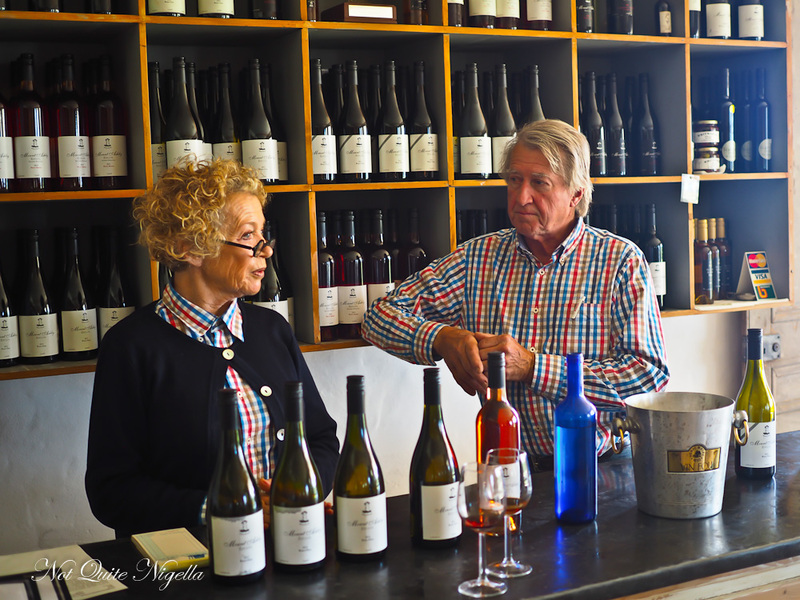 It's no coincidence too - the owners of Mount Ashby are Sally and Chris Beresford and they lived for many years in Sydney's Woollahra, Sally running Antiques in Woollahra. 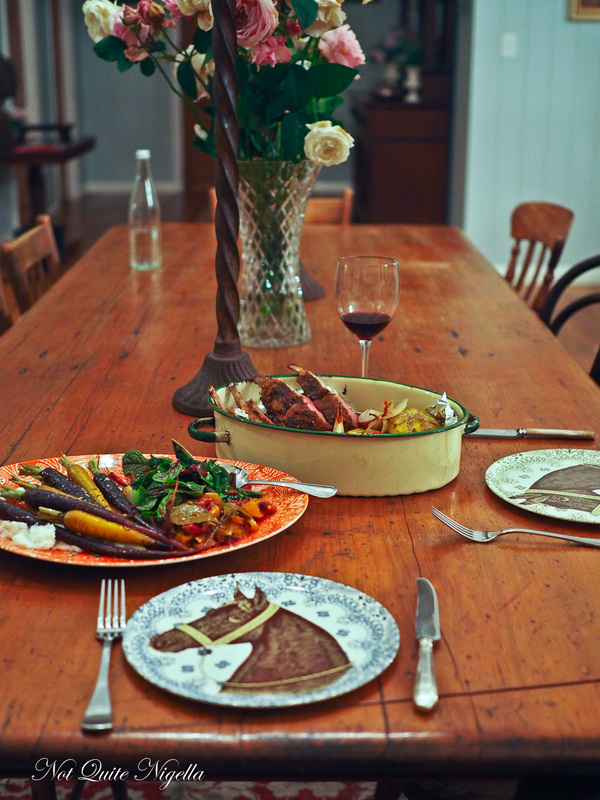 Even nowadays she brings in trees from France and makes gorgeous farmhouse style dining tables for clients. 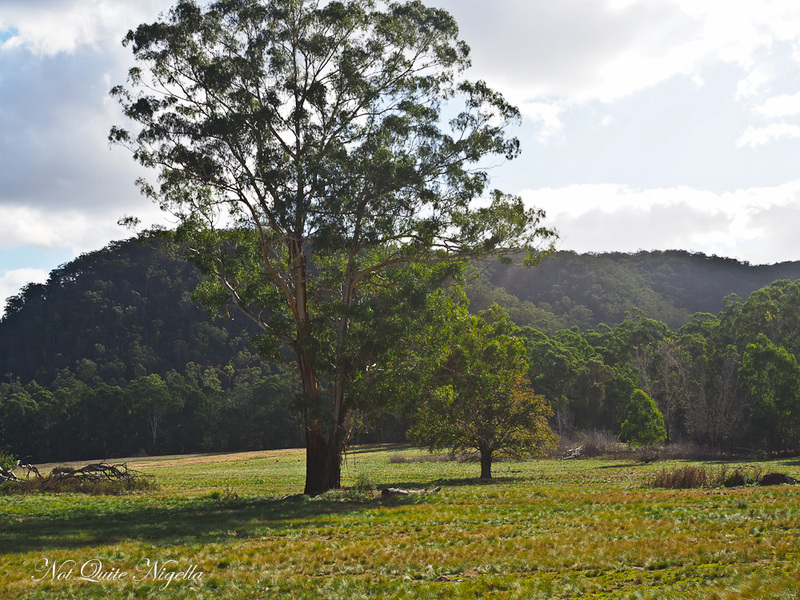 They bought the property here when it "was a wreck, with huge craters of erosion" says Chris. 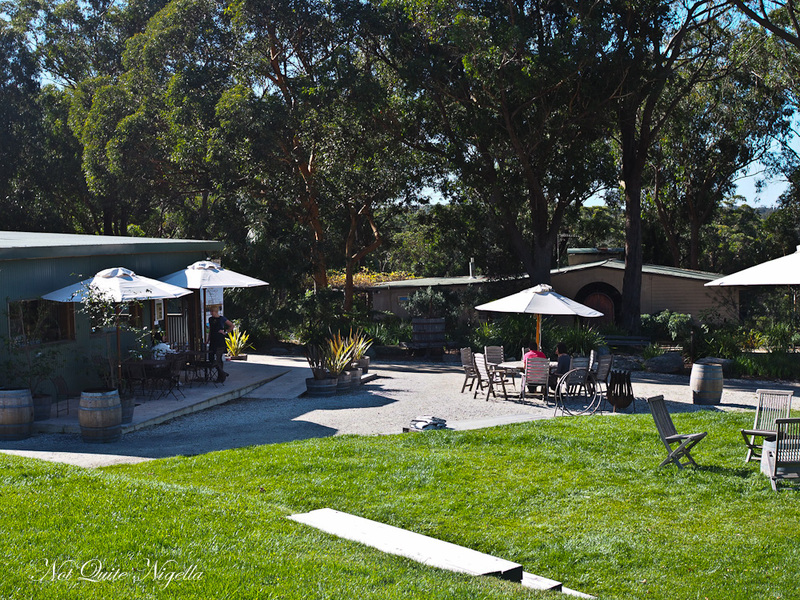 It was formerly a dairy farm and it has now been transformed into a cellar door and restaurant featuring Sally's condiments and dishes while Chris mans the cellar door. 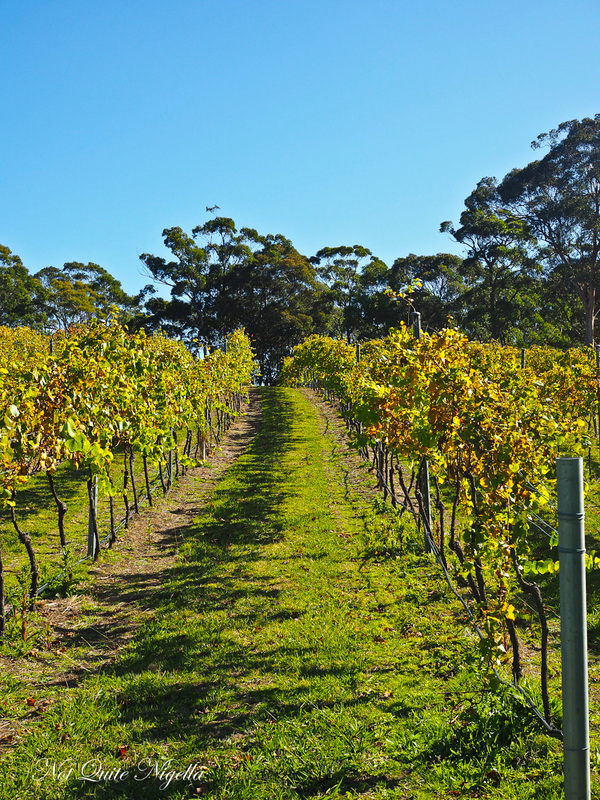 They're known for their Pinot Gris-the 2013 using grapes from their property is gorgeous. The 2014 is also good but uses grapes "from the other side of the freeway" but the two are very different. We are lucky enough to nab a bottle of the very new to market 2015, a return to estate grapes. 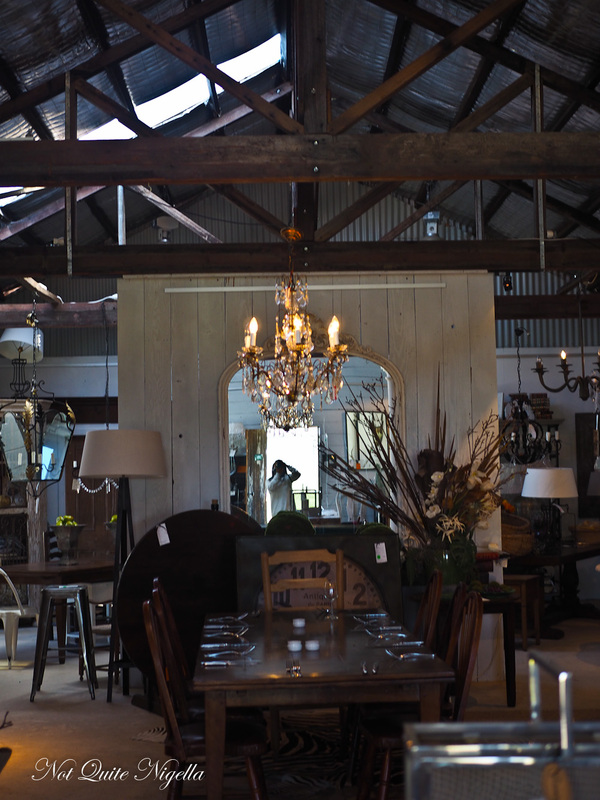 The indoor of the restaurant has a hearth shipped all the way from Sydney's Paddington but as pretty as this is, we are drawn to the outdoor section bathed in natural light and warmth. The breeze is gentle and rather unexpectedly we see a friend from Sydney at the table next to us so we decide to shift to a larger table to sit with together. 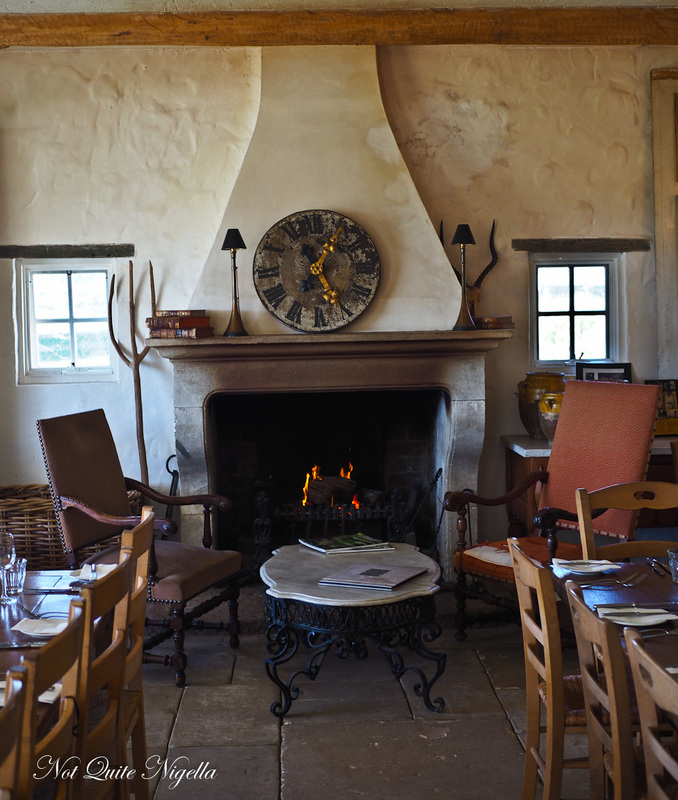 The menu reflects the Beresford's Francophilic tendencies with potages, terrines and beef bourguignonne. 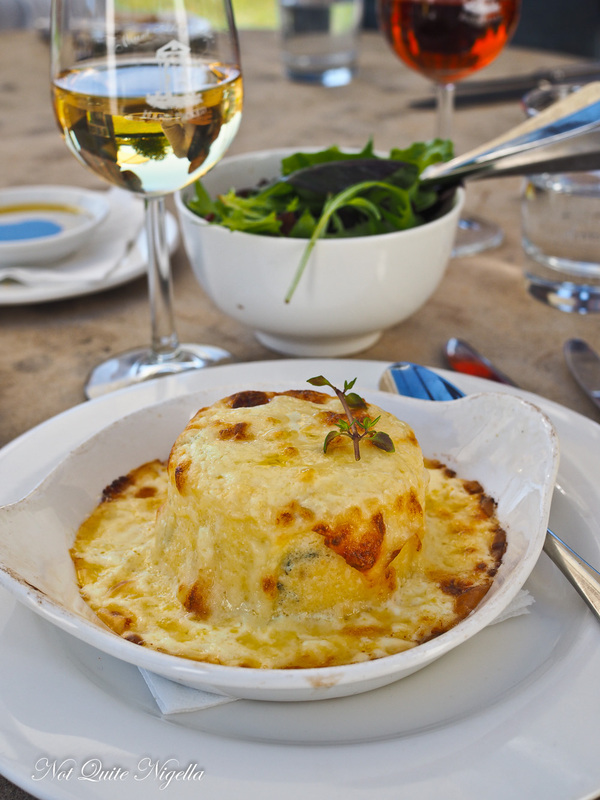 I was recommended this souffle and it's delicate and light with the aroma of thyme. This is the second cheese souffle of the weekend which really reignites my love of cheese souffles-as soon as I got home to Sydney I made up a batch. 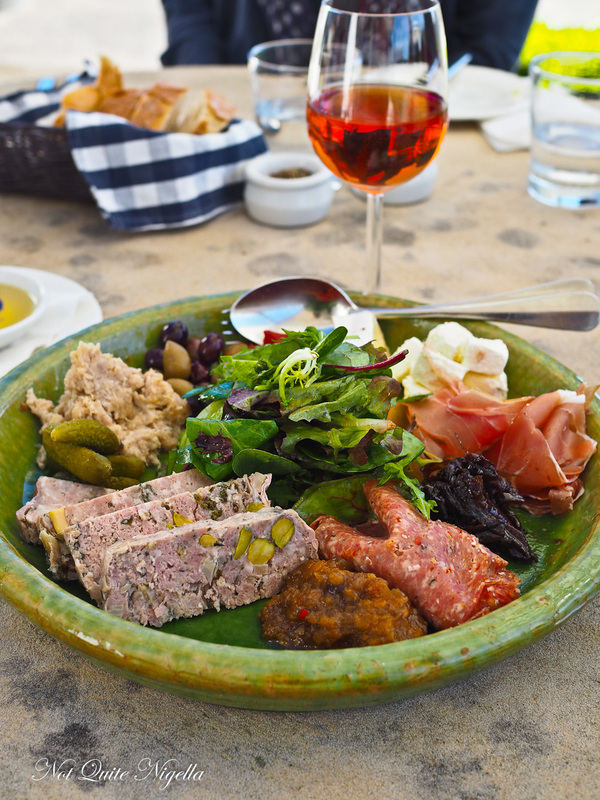 We also feast on the charcuterie plate that is loaded up with Sally's pork rillettes, onion confit, brie, feta, a pork, veal and pistachio terrine (my favourite along with the onion confit) with bread and Melba toast. This is paired with a Mount Ashby Petit Rouge or Rose. On our way to our accommodation this evening, we stop by Artemis Wines located nearby. While their wines are very nice, the product that had us all fascinated is a sparkling bee mead. 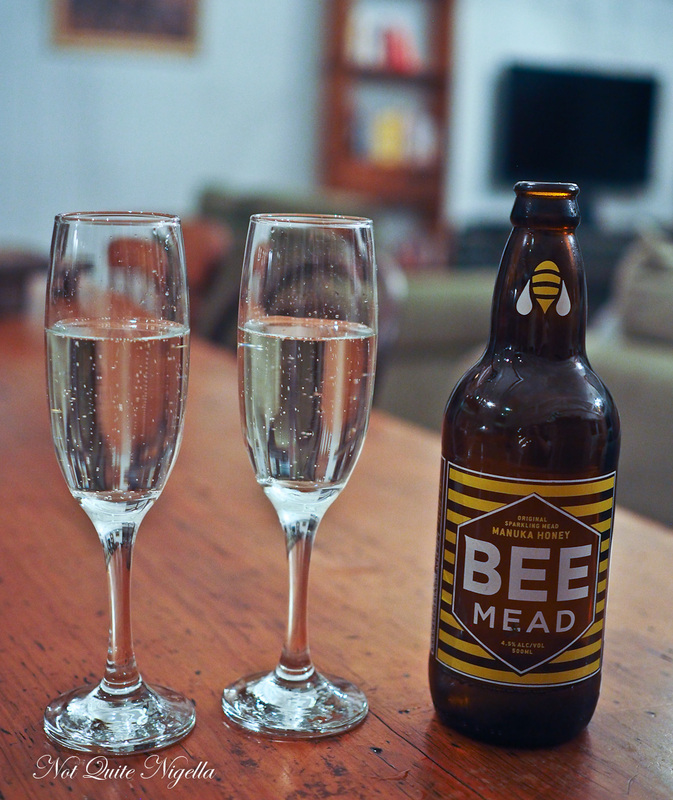 They are the only manufacturers in Australia of sparkling bee mead which is simply made with fermented honey. 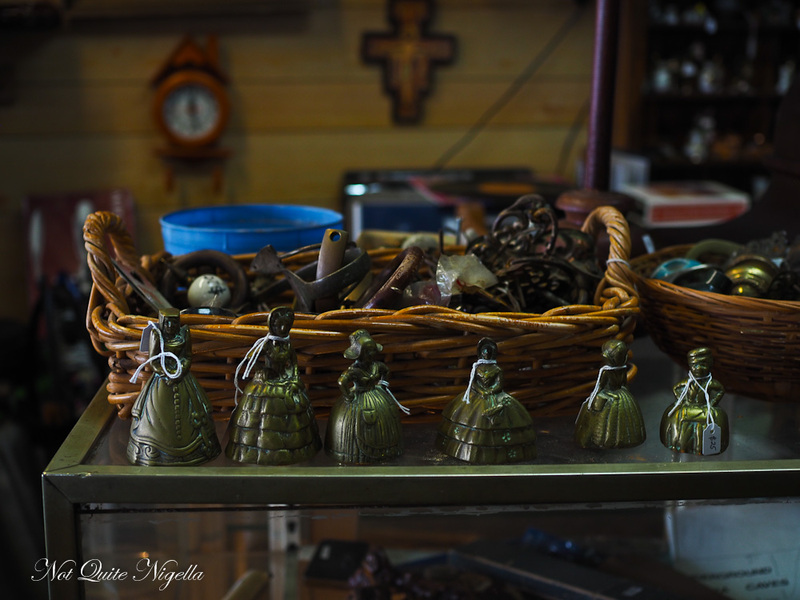 They have four varieties here: lime & lemon, honey & spice, honey & ginger and Manuka honey. They decided to create a mead after seeing how saturated the cider market is in Australia and use clover honey and Manuka honey to create their mead. It is made in 2000 litre tanks to which a "tea" of kaffir lime and lemon myrtle is added to flavour the mead - this also serves to dilute the mead's sweetness and each bottle has about 6-7 teaspoons of honey. The carbonation process is done at the bottling stage. My favourite is the lime and lemon for its refreshing quality although they are all good, the honey and spice reminding me of apple pie. They're also great value with 9 bottles selling for $50. 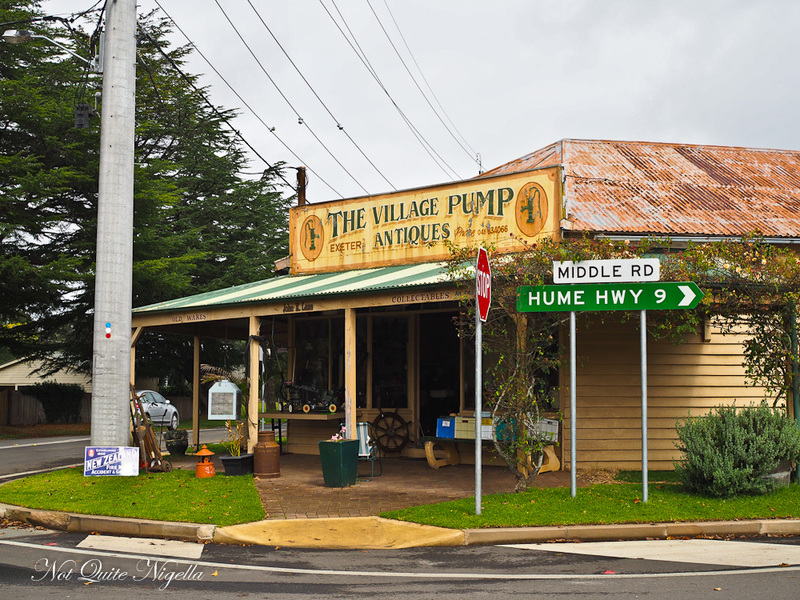 Armed with our treasures we head to our accommodation in Berrima and the last place where we will stock our supplies for eating in-house this evening. The Loch is a B&B with a difference. 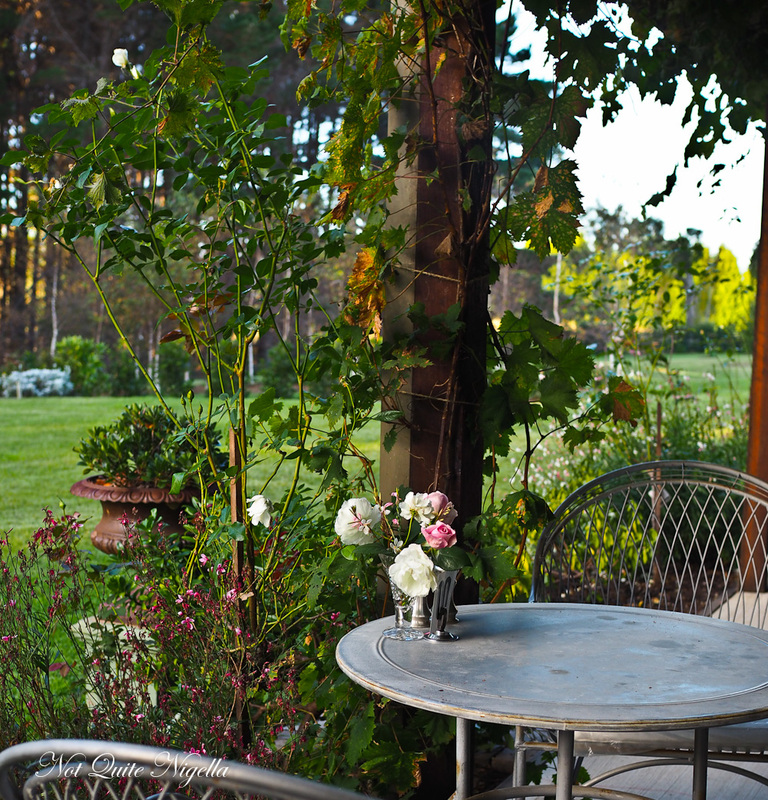 An enormous converted stable sits on 100 acres of land with cattle, sheep, chicken, a fruit orchard and an enormous vegetable garden that thrives under the gifted green thumb of New Zealand born Brigid Kennedy. The building was set up for equine travellers, the idea was that the horses could stay underneath in the stables and the people stay in the guest quarters on the mezzanine level upstairs but Brigid quickly realised that this sort of customer already had kitted out horse floats to stay in so they turned it into a B&B. So now antiques fill the stables and guests sleep upstairs. And as it is a Sunday when we arrive things are in full swing. 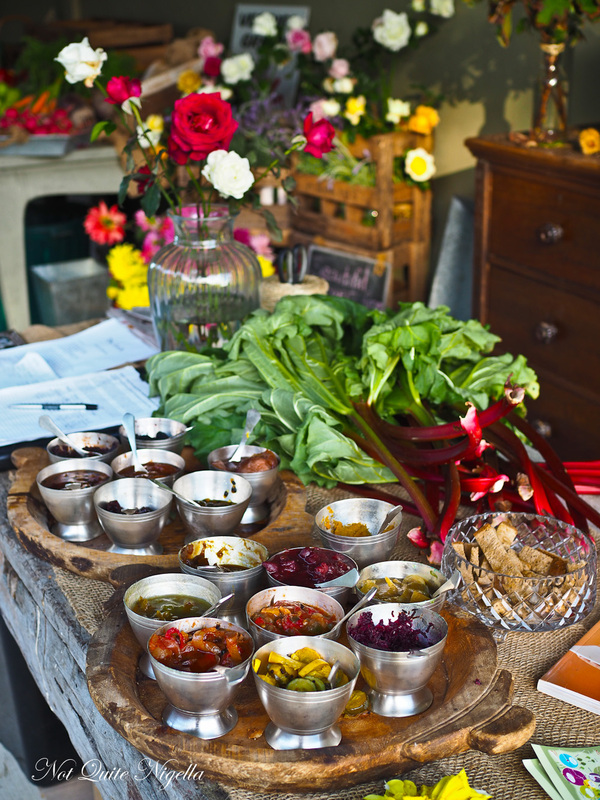 There are people lunching and buying from the gorgeous display of farm grown produce, pickles, sauces and dips that Brigid makes and the farm's beef and lamb. Or you can enjoy a cup of tea or coffee and a slice of meringue chocolate cake or white chocolate Turkish delight. There are four rooms here at The Loch and we are in the Ayr room adjacent to the enormous kitchen and common area. 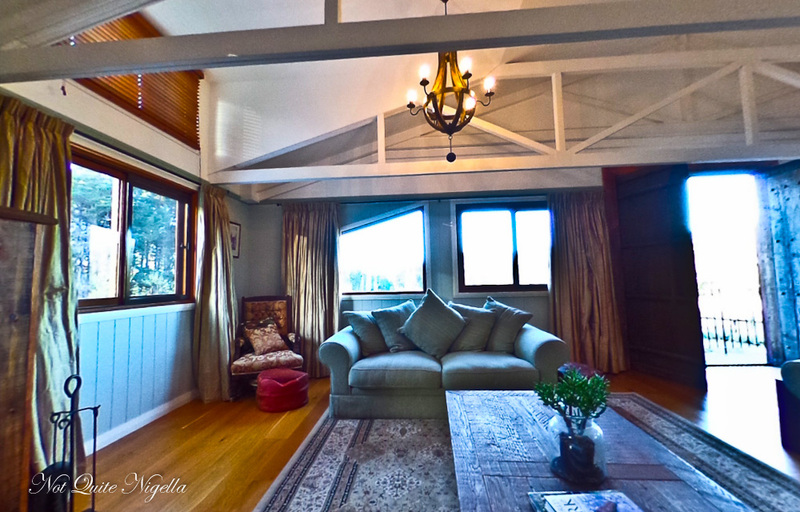 All guests are welcome to use the kitchen and lounge area and it is well stocked with plenty of equipment, a large oven, appliances, and crockery and cutlery. 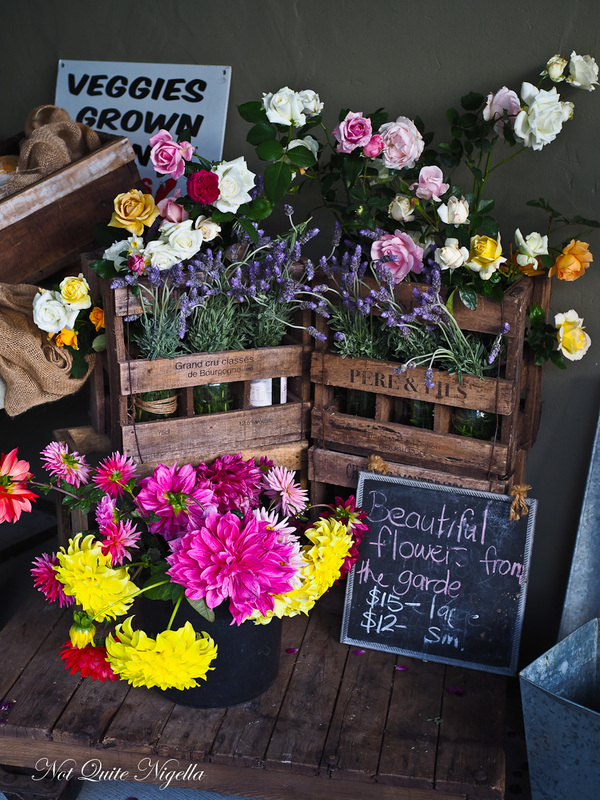 Large vases of fragrant freshly cut roses are in every room, their beautiful scent trailing you at every turn. The Ayr room is very prettily decorated and it is actually a twin room but they've pushed the beds together. It is a nice room and the only one with close proximity to the kitchen. However because it shares a common wall with the lounge area, the noise from other visitors does carry through to the bedroom quite clearly. Our fellow guests are a really nice young couple on their wedding anniversary as well as a family with three young rambunctious children under five (and with the resultant noise especially when they were in the common areas). Also there is no wifi here s you'll have to bring your own internet. 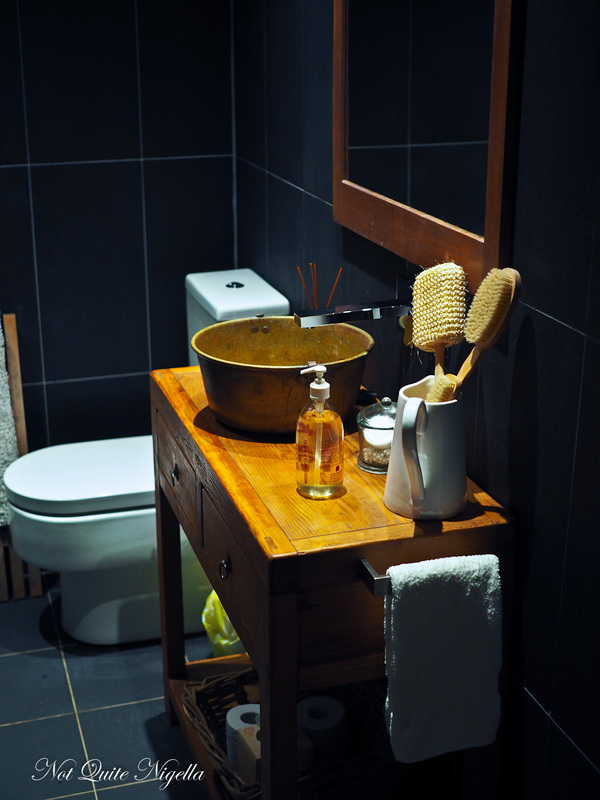 The bathroom has vintage pieces cloaked with a modern look to it with heated towel rails and French soap. Everything is beautifully put together and you can't help but admire Brigid's eye for the visual. However you do need to be careful when showering though as the water is not contained in the shower cubicle. I busy myself getting dinner ready. I start on the shrikhand yogurt mixing it with maple syrup and then draining the whey off. 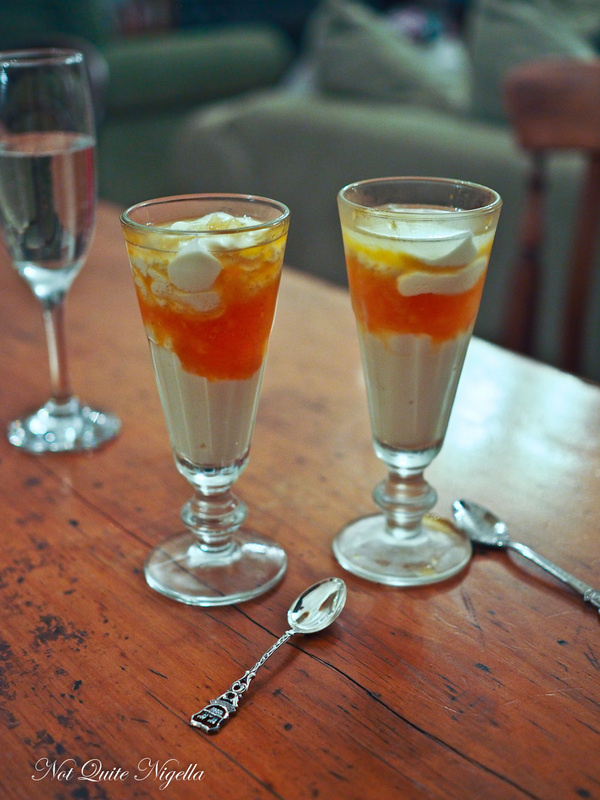 After it thickens I layer it with honey and lusciously soft persimmon. I scrub the potatoes and par boil them and mix the ras el hanout with olive oil and rub the lamb rack with it. These go into the oven with the Dutch and heirloom carrots, tiny fire chillies, quartered onions, baby beetroot and some garlic. 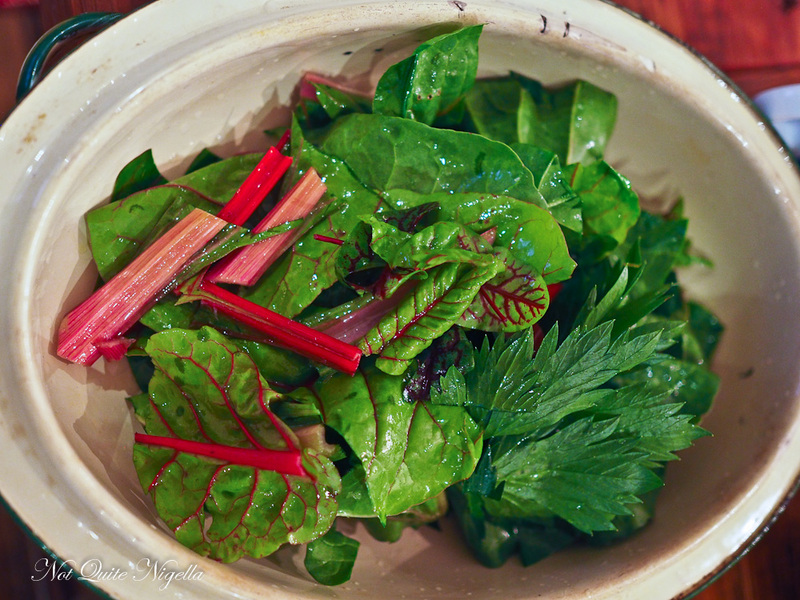 I chop up the Swiss chard and toss this with olive oil and salt and then add some green garlic to it and roast this too. We chat to the other couple who are from Sydney and here for their anniversary. They're very friendly and it's easy to share the common space with them. The lamb comes out pink and juicy and I serve these with smashed butter and oil potatoes. I add a thick layer of toum garlic dip on a plate and add the carrots on top. The chard has cooked down a lot so I serve this with the chillies and some big scoops of Brigid's delicious pepperonata. It's a feast and we end up sitting around the long dining table with the other couple and we share desserts and some bee mead. The bee mead is less sweet than other meads we have tried. It has a distinct white peach aroma and a crisp dryness to it and is very refreshing, a perfect summer drink. 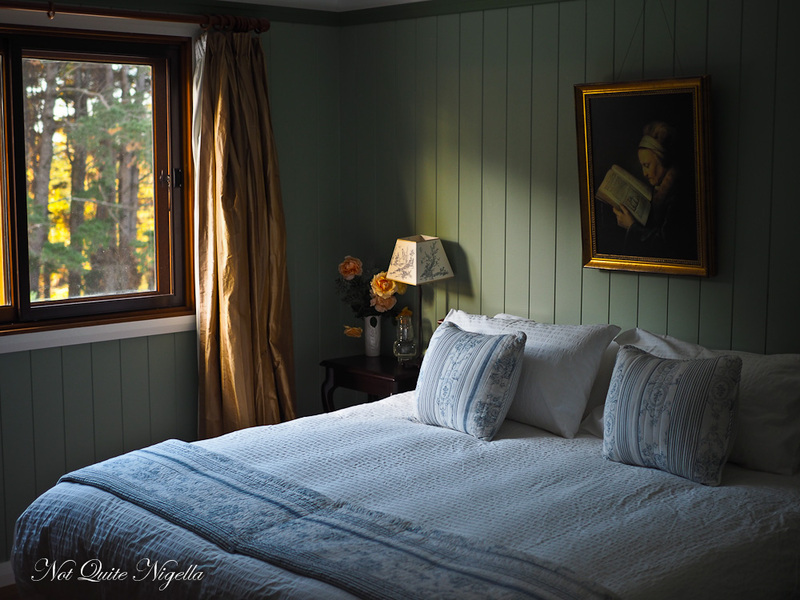 The next morning the aroma of freshly baked bread and the sweet smell of French toast, sizzling bacon and a vegetable filo tart that Brigid has whipped up pervades into the bedroom. The aroma is strong and sweet and I start incorporating it into my dreams. In my dream I am packing up my suitcase and stuffing bacon and toast in there, not wanting to depart without some food memories of my trip. So tell me Dear Reader, when you go away what do you usually do for food? Do you eat out? Self cater? Or do a mix of the two? And if you cook yourself, do you bring ingredients or do you buy them from the destination? And what do you use for directions-your phone, car GPS or a map? 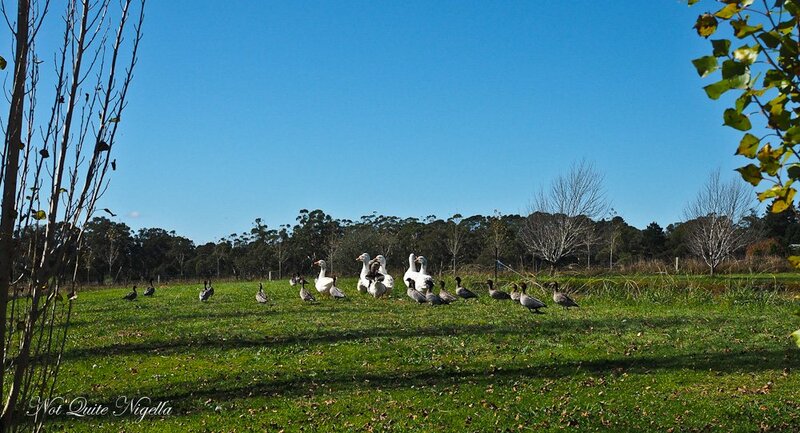 NQN and Mr NQN visited the Southern Highlands as a guest of Southern Highlands Tourism but all opinions remain her own.